Is BPA free tupperware safe?Is Tupperware BPA Free? Before answering that question, let’s start with what exactly BPA is, and why we shouldn’t be exposed to it. Bisphenol A, also known as BPA, is a potentially harmful chemical found in plastic products such as water bottles, PVC pipes, and dishware. BPA mimics hormones in the body, and studies have shown it can potentially lead to a wide array of ailments. Infants and young children are especially vulnerable to the detrimental side effects of BPA exposure, and because of this the FDA has issued an official warning regarding products containing the chemical. So back to our question: Is Tupperware BPA Free? 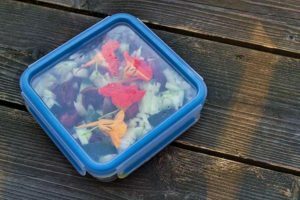 The answer is probably not, as modern food storage containers are predominantly made of plastic or coated with it, and have been for some time. Products containing BPA should be limited in use when possible and this is especially true when they are combined with our food, microwaved, or put in the dishwasher. On top of this, when this food is going to young children the risks can be exponentially elevated because of the little one’s size, still-developing systems, and natural defenses. Parents should make a concerted effort to steer away from BPA products wherever possible, and fortunately there are now viable alternatives..
As you can see, your options with BPA free Tupperware are still pretty open and among those materials you can certainly shop with a cost-effective mindset. At the end of the day, as parents you are going to do whatever it takes to provide your children with a safe and healthy environment to grow up in, and this is a small step with major positive implications. To view Kangovou’s great selection of BPA free children’s dishware, check out our web-store now.